​Lakshmi is a founder trustee at Prerak Trust and works closely with the team in analyzing social issues concerning water and sanitation. 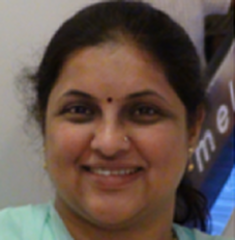 She is a graduate in Sociology from Bangalore University and holds a bachelor’s degree in Education. She is closely involved in the planning and implementation of the projects taken up by Prerak Trust. During her engagement in the Integrated Water and Sanitation Management Program in Thyamagondlu village, Lakshmi designed techniques for participatory management. She is also engaged in developing the materials for Information, Education, and Communication (IEC) campaigns.